Yesterday Nike released a little teaser of the new Manchester City away shirt and now we get to see the whole thing. 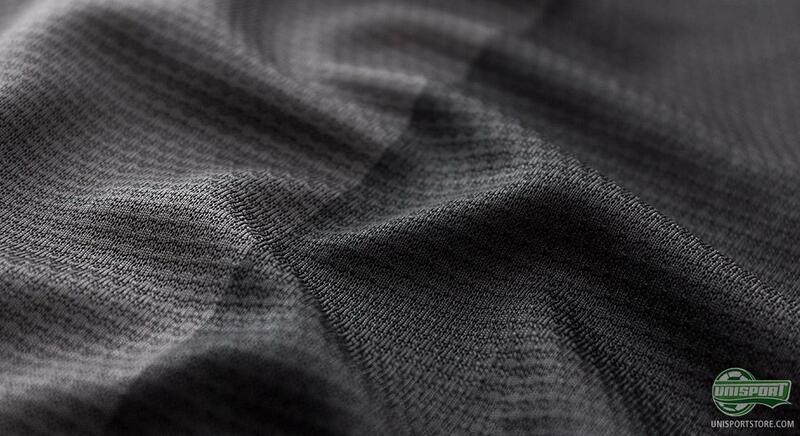 It is an elegant shirt, with black nuances, which Manchester City will be taking to the field in, once the Premier League starts up again and we have taken a look at the new shirt right here. It is very exciting to see Nike and Manchester City working together and early this summer we got a taste of what it can lead to. 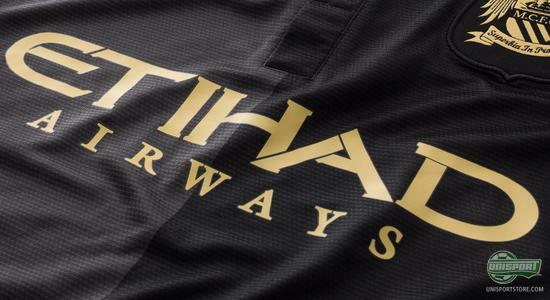 Manchester City's home shirt was launched and now we get to see the clubs new away shirt and judging by what we have seen of the two already, all we have to say is; long may the partnership continue. 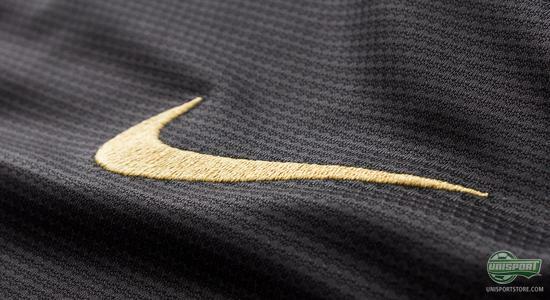 Nike have with the new away shirt made a shirt, which stands out as elegant and very classic, when dressed in black and gold. At the same time Nike have played around with the black colours and nuanced them slightly, so the one part of the shirt is slightly lighter than the other. 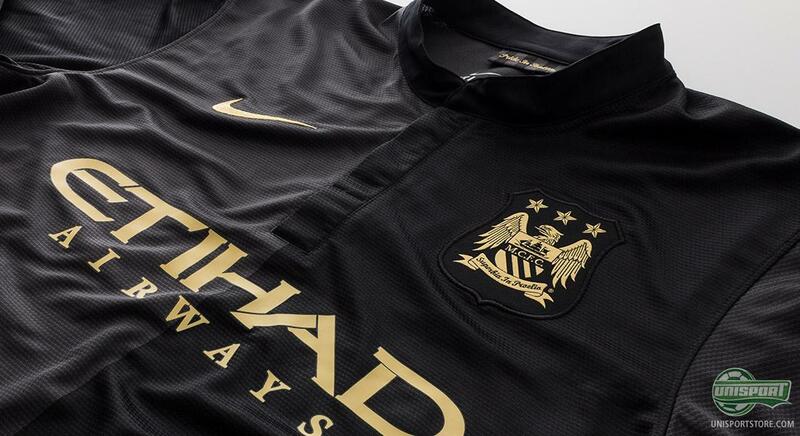 Will you be supporting Manchester City in the black colours? 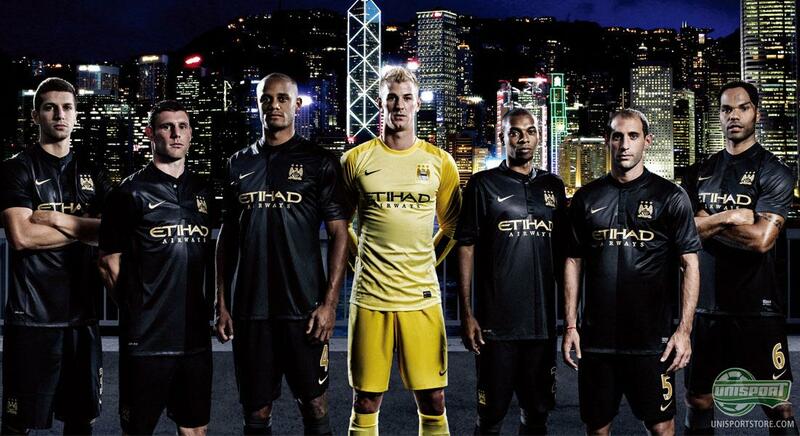 You can already now order the new Manchester City away shirt  prices start at 58. 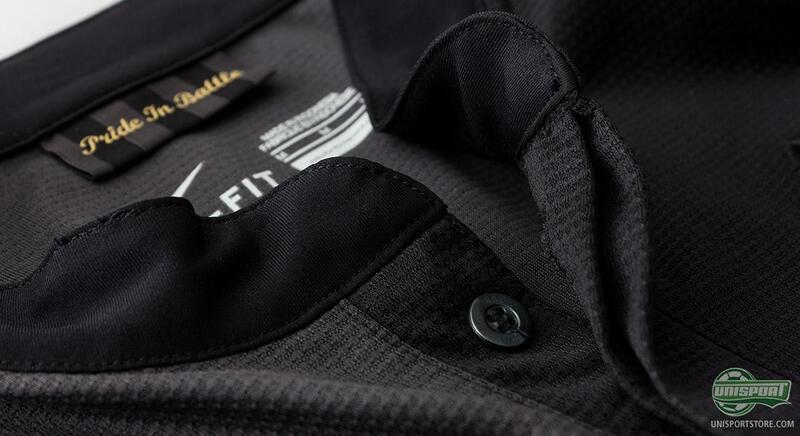 The black colour is one that has always been a central part of the clubs history. Back in 1884-1887 the club played in a completely black shirt, before they went over to a white and blue shirt and later the now iconic sky blue shirt, which we all know today. 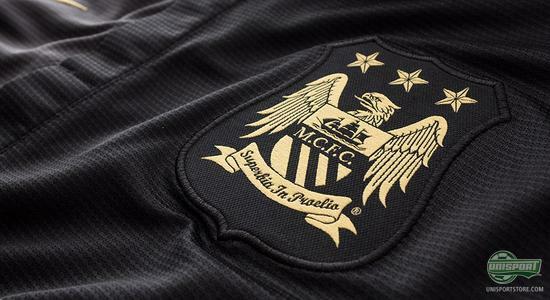 But now the black colour is making a strong comeback and you would think there are plenty of Manchester City fans, who are pretty pleased with the reunion. They get to celebrate the clubs roots, while looking ahead at a season, where the club will have to fight very hard, to try and wrestle the Premier League trophy from bitter rivals Manchester United. 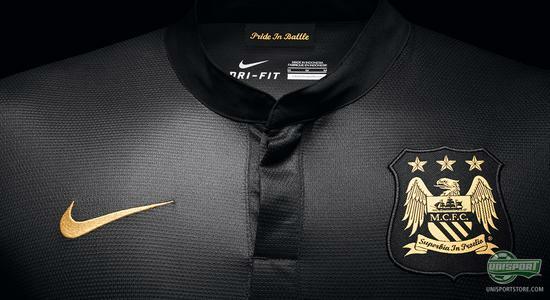 You have to say that this shirt is full of nice and elegant details, which will definitely enthuse the true City-fan. 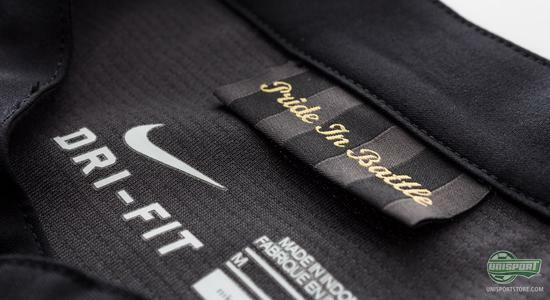 In the collar the text Pride in Battle is written, which is a direct translation of the clubs latin slogan Superbia in Proelio, which also resides below the clubs elegant logo. We can definitely see that City will be very well dressed in the new coming season, now that Nike and Manchester City have unveiled both the home and away shirt. The blue half of Manchester will stand as one, whether it be in the classic light blue kit, or this new new all black kit. Unity within the club and squad must be one of the keywords, if Manuel Pelligrini is to move the team forward and really challenge the neighbours from United, as they fight for the Premier League crown. Even though City have plenty of high profile players, it takes teamwork, togetherness and unity, if the club is to repeat the triumph from 2011/2012. As always with Nike, the shirt is from the really nice and very breathable Nike DriFit, which makes sure sweat and moisture is wicked away from the body. 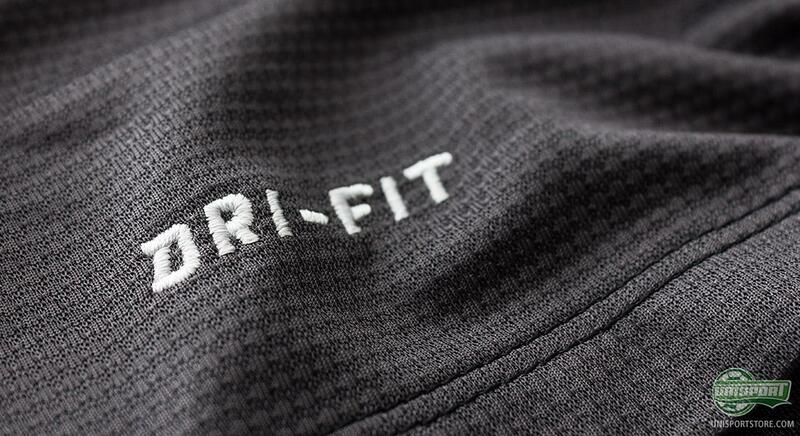 This keeps the body temperature stable, so you don't overheat and loose your cool, when playing a high intensity game. The shirt is also top of the pile, when it comes to its environmental awareness. 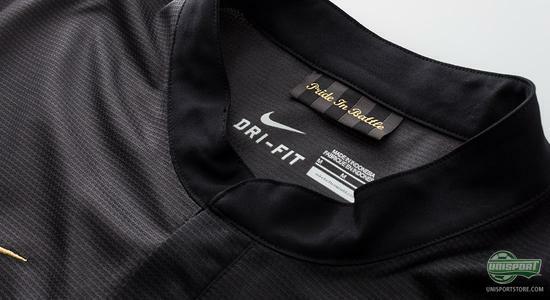 Nike are very conscious of the effect their production has on the planet and the shirt is therefore made almost entirely of recycled polyester and each shirt is made of an average 13 plastic bottles, to spare the environment the most. 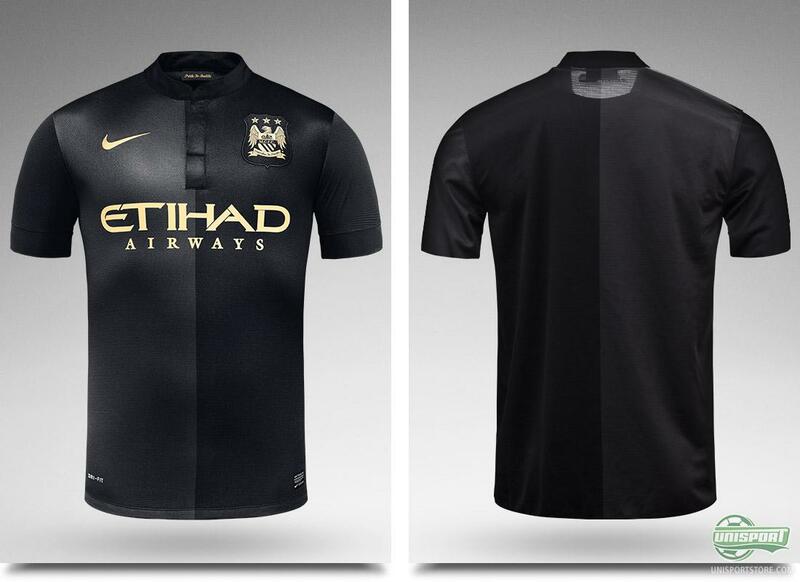 There is no doubt that Manchester City have geared up for the new season, with two awesome new shirts, but the question is, is it enough? What do you think about the new away shirt? And do you think City can clinch the title ahead of United, Chelsea and the rest of the Premier League? As always we would love to hear your thoughts on Facebook, Twitter and the comment section down below.